Disruptive Innovator: Welcome the New SDL Tridion Community MVPs! This year I was proud to serve on the SDL Tridion Community MVP Selection Panel, which consists of 2 SDL employees and 3 externals (internal winners or "Community Builders" aren't announced publicly--the award is focused on encouraging the community to share). I was impressed by how much the community continues to grow. I'm surprised by how much we shared in quality and quantity. And I'm hoping to clarify what the program's really about and how you can help with pictures, humor, and mentioning Tridionhotties. 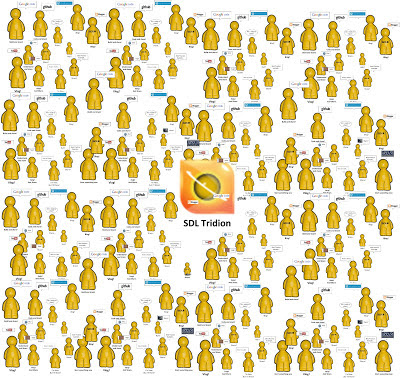 Congratulations to the 2013 SDL Tridion Community Most Valued-for-Sharing Professionals! Wow. 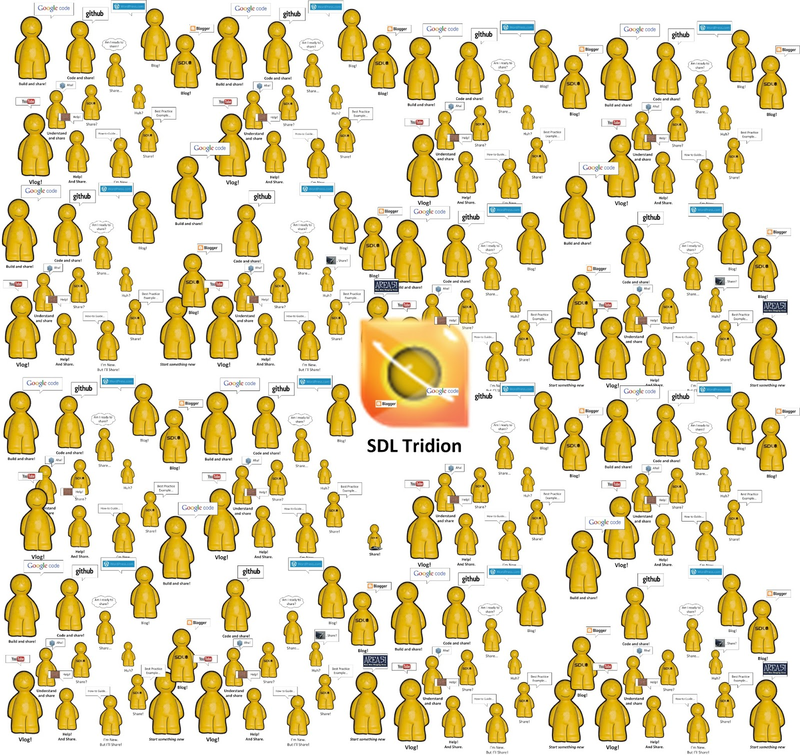 The SDL Tridion Community in 2012. 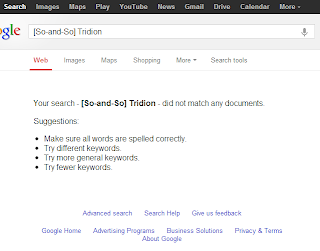 One Tridionaut shared 40 blog posts covering the ins, outs, and step-by-step coverage of GUI extensions and Yet Another sharer shared 67 posts covering snippets, approaches, and discoveries across the Tridion API stack. Almost a thousand StackOverflow #tridion questions got 1750 answers on StackOverflow. Lots checked-in open source code. Even the occasional question or answer mattered. You didn't just participate, you were engaged, active, and helpful. 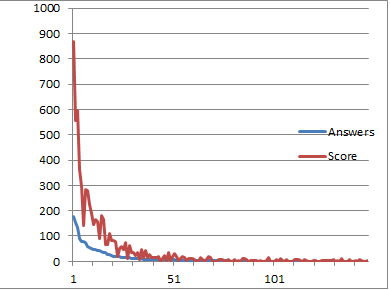 The long tail of StackOverflow #Tridion answers means even occasional sharing helps. 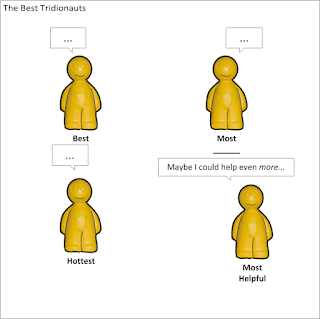 Are you one of last year's148 SO #tridion users? What the Program Wants. What Some Expected. What Customers and Your Peers Need. Ever been here? Customers and your peers often find the community through online search. Are your expertise and knowledge sharing activities "SEO-friendly?" What the Program Wants: Sharers. The program is a "thank you" for helping more than your immediate client or projects. It's recognition for those sharing online voluntarily and a possible incentive to help others online. In a way, it gives us permission to share. Seriously, you'd be surprised at how many senior-level experts want to, but hesitate at, sharing. Sharers at all different levels share what they know to help each other online. 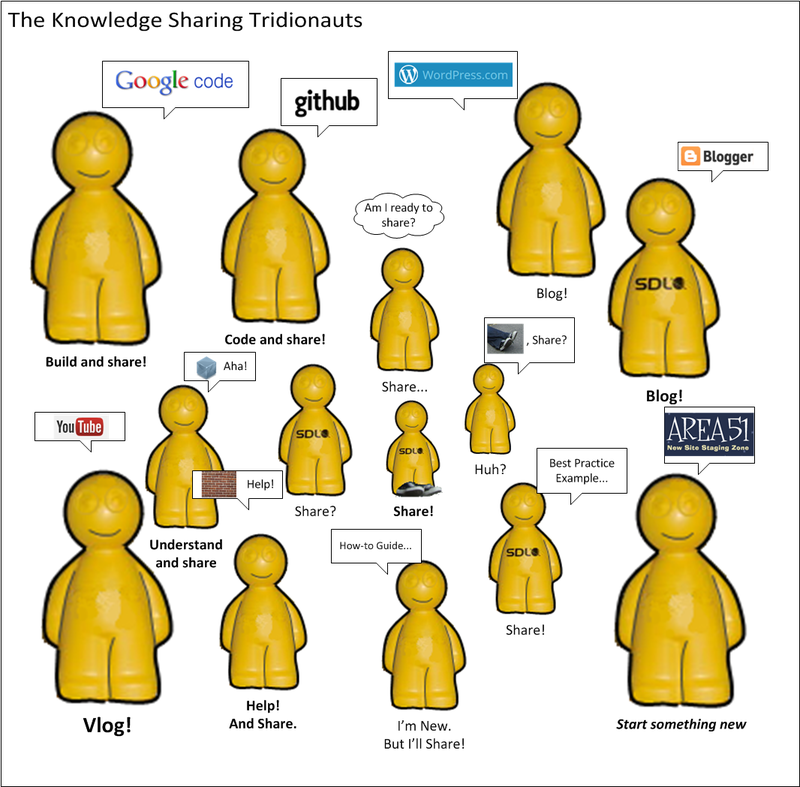 In a world where there's no where to horde knowledge, it's good to know where to share (the forum, your blog, or stack overflow are great places to start) . The community is growing. The community MVP program likes this. And growing. This is what the MVP Community Award hopes to encourage. The program didn't meet everyone's expectations. Nuno clarified last year, but the typical responses to an "MVP" title are why him? Why not her? Or a new one: about time he won! 1. Why Didn't So-and-So Win? "Isn't she as good, nice, or good looking as the other candidates?" Maybe it's your fault. There were some fairly qualified people that didn't get your nomination. It only takes an email (add @sdl.com to addressee). The nominee didn't share enough knowledge. Confusion between a Community award (share!) with an employee recognition award (you're awesome!). Companies have valuable employees. They should value them. Two SDL internals and 3 externals can't possibly rate who's the best. 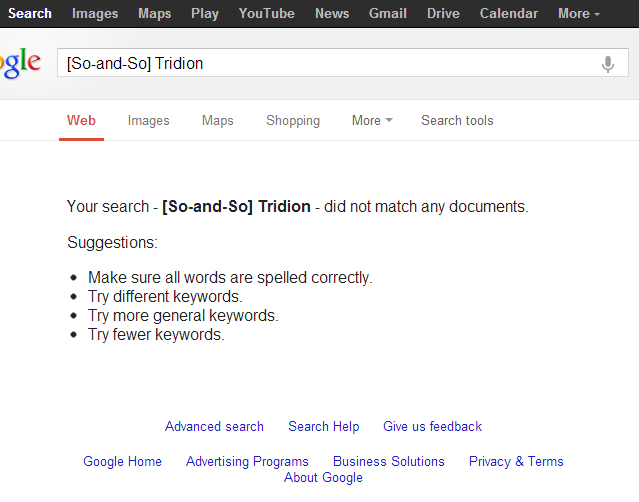 Well, maybe Tridionhotties are obvious, but surely out-of-scope for a technical community sharing award. 2. Why Did So-and-So Win? "He's not as good, nice, or good looking as these other candidates." Voluntarily sharing their Tridion expertise and knowledge online for the previous 12 months. It's pretty clear on the award page. 3. Finally. What took so long to recognize So-and-So? He wasn't nominated (oops, don't forget next time). He didn't share enough knowledge online and/or didn't get 3 out of 5 votes. 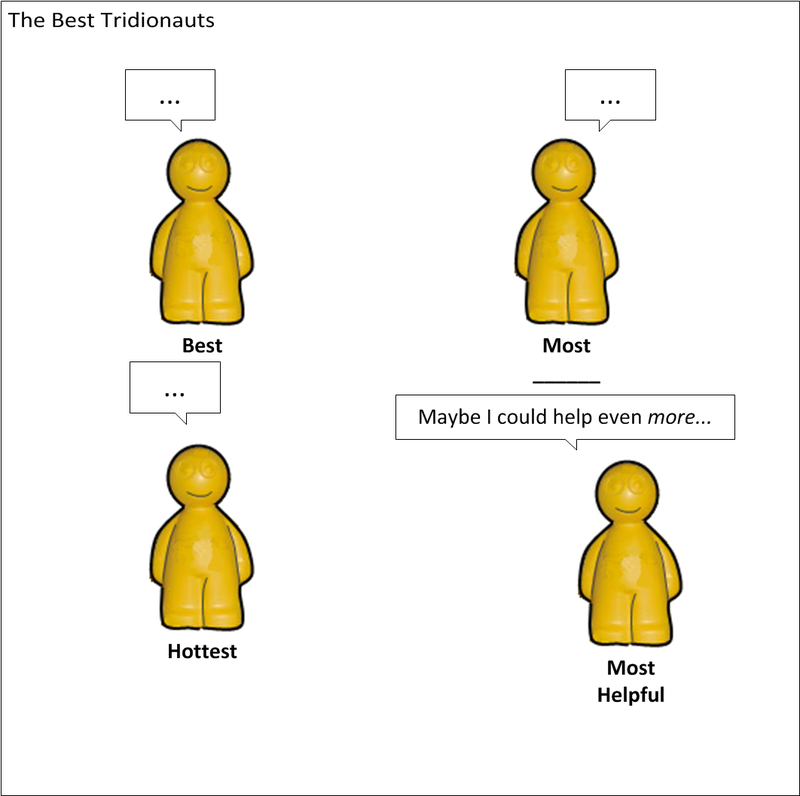 The SDL Tridion Community MVP is not an Employee Recognition Program, it's not influenced by SDL management nor is it based on customer feedback. More nominations might help, but the nominee only needs one (like meiosis). You can start or continue to help customers online. SDL CMT Knowledge Sharing. Knowledge Leadership? 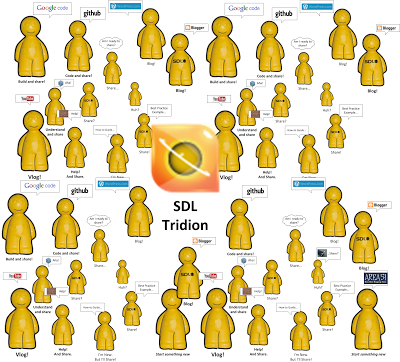 SDL staff started 16 new Tridion-related blogs since 2011. In the last year they shared over 192 posts mostly on Tridion with lots of code, examples, and best practices. 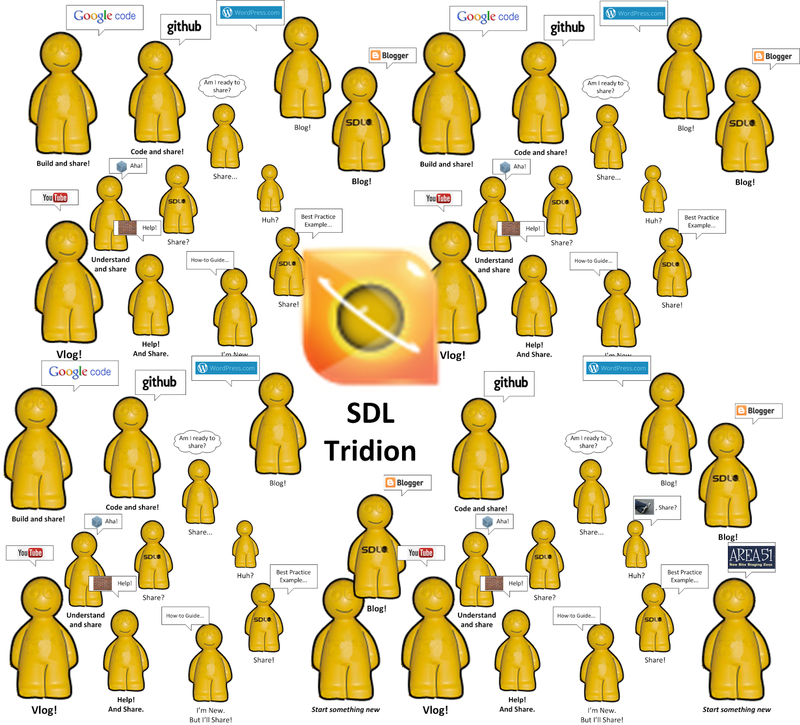 With SDL Tridion 2013 coming out, I think we'll see a lot more from SDL's staff. I also see more colleagues finding ways to give themselves permission to share. Expertise from Anywhere. One independent group has 33 blog posts, presents at events, and hasn't yet made the partner list. Customers and various consultants ask some of the most interesting, helpful questions on StackOverflow. Any individual can recognize the 7 wins in a vibrant technical community and start. Anywhere. Anytime. You don't need my permission to share. But if you want to improve your SEO, get recognized in the community, and keep up with SDL's employees and experts-from-anywhere, you might need to give yourself or maybe your staff permission to share and participate online. Also easy. In case you don't like Google. Don't like writing?Got a question?Maybe an answer? Good one Alvin, Congratulation to all newly elected MVPs. Can we get detailed list of individual work list from all elected MVPs. It's hard to tell if the question means interest in sharing more (by all means, please do, it's nice to see more contributors), you're looking to follow their projects, or if there's doubt about what they've done. I added some search links and a few of their projects if anyone's interested in joining some of the projects and helping out. Remember in order to be considered and win, candidates must be nominated, get 3 out of 5 votes, and contributed over twelve months.